Allegra Boverman/Gloucester Daily Times. 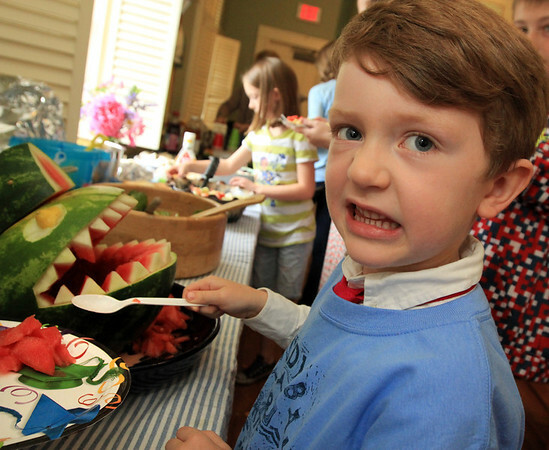 Marlew Herlihy, 4, of Rockport makes his best "watermelon shark" face while getting watermelon during the luncheon following his graduation from Sandy Bay Preschool of Rockport on Tuesday. The event was held at Community House.